﻿ Do squirrels chew on electrical wires? 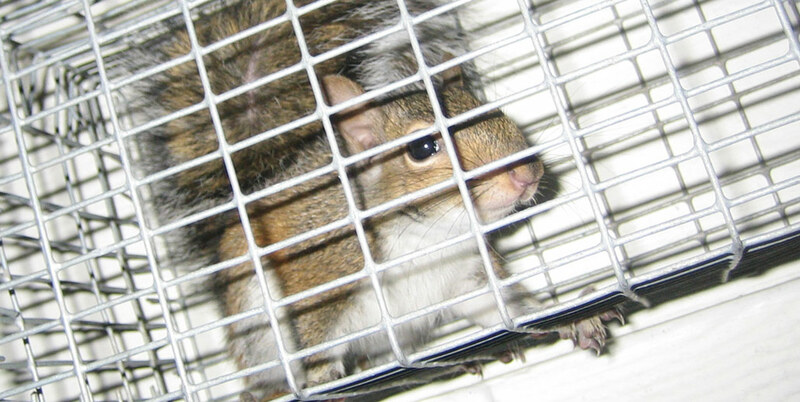 USA Wildlife Removal Education Guide - Do squirrels chew on electrical wires? Squirrels are in the family rodentia, and just like mice and rats, chew constantly. Their material of preference is of course, wood, but they will chew water pipes, paper, vinyl siding, and yes, electrical wires. This is bad for any number of reasons. Most obvious is the constant electric shorts and wiring problems it can cause in your home. Power outages due to chewed wires can be very costly to home owners and hard to fix. If the wires are inside a wall they can cause you to have to rewire your entire home. They can cause electrical fires if the section of chewed and exposed wiring is near something flammable like most loose attic insulation. Squirrels have also been known to chew the wiring in pump houses causing well problems, industrial complexes causing problems with control panels, Heating and AC unit wiring boards, and the electric wiring on vehicles causing any number of serious problems. The only way to prevent this danger from happening is to rid you of squirrels. Their teeth are constantly growing, so chewing non-stop is a necessity for them. If you think you have squirrels infesting your home, chewing on wires is the least of your problems. You are also in danger of pests like lice and fleas, disease spread by squirrels, and the filth and smell caused by urine and feces all over your attic. These problems coupled with the destruction of your exterior eaves while they made their own door, and the destruction of anything (including insulation and keepsakes) in your attic as they rummage through it looking for food and nesting materials make then extremely undesirable house guests. Getting rid of squirrels is never easy and is a task best left to the professionals. If you don’t have squirrels yet, take preventative measures. Examine the exterior of your home regularly. Look for squirrel sightings or tell tale signs like droppings or chew marks. Check your attic space, especially if you are hearing noises from there. If you find any holes around your upper eaves, seal them after you are sure your attic is empty. A little prevention now can save you a lot of time and trouble later. Go back to the main Squirrel Removal page for more information about Do squirrels chew on electrical wires? .